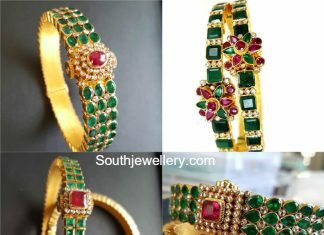 22 Carat gold bangles studded with emeralds, rubies and polki diamonds by Premraj Shantilal Jewellers. 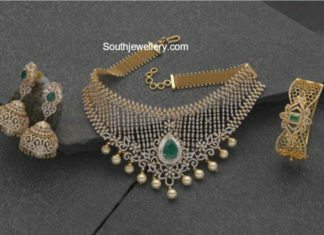 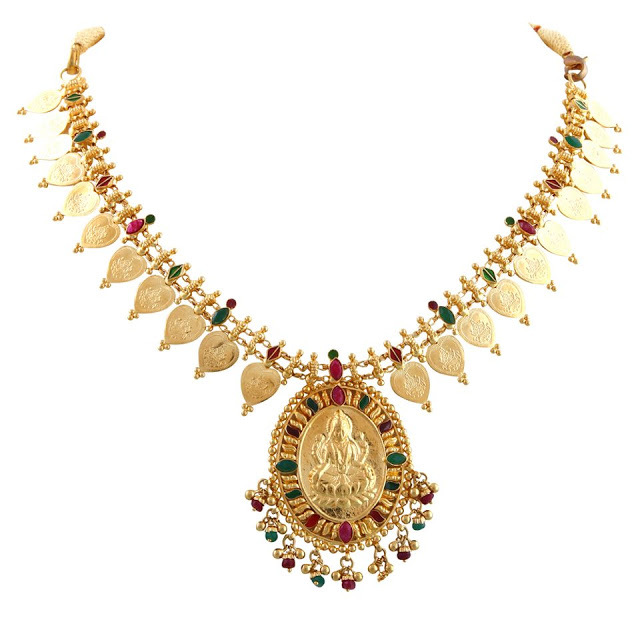 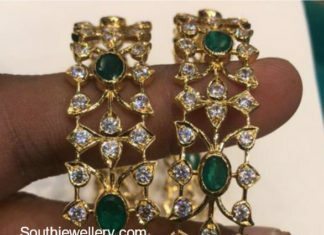 18 carat gold diamond emerald choker, jhumkis and bangle by Navrathan Jewellers. 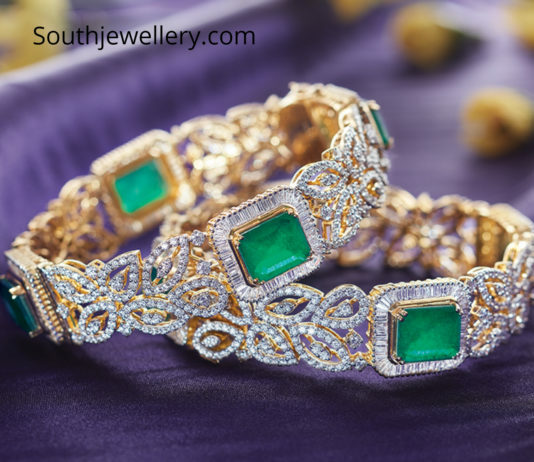 Diamond emerald bangles by Premraj Shantilal jewellers. 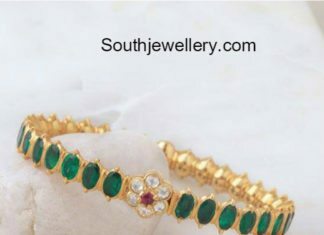 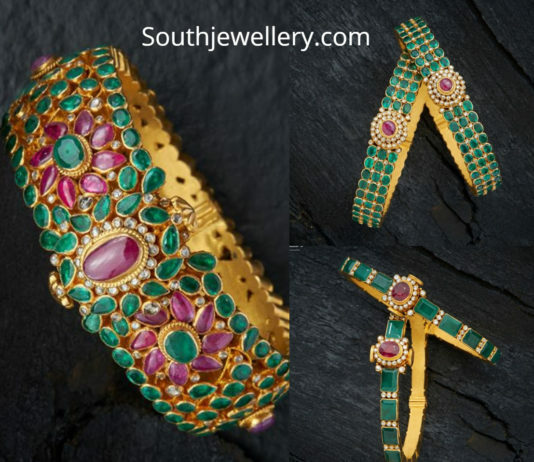 22 carat gold bangle studded with uncut diamonds, ruby and emeralds. 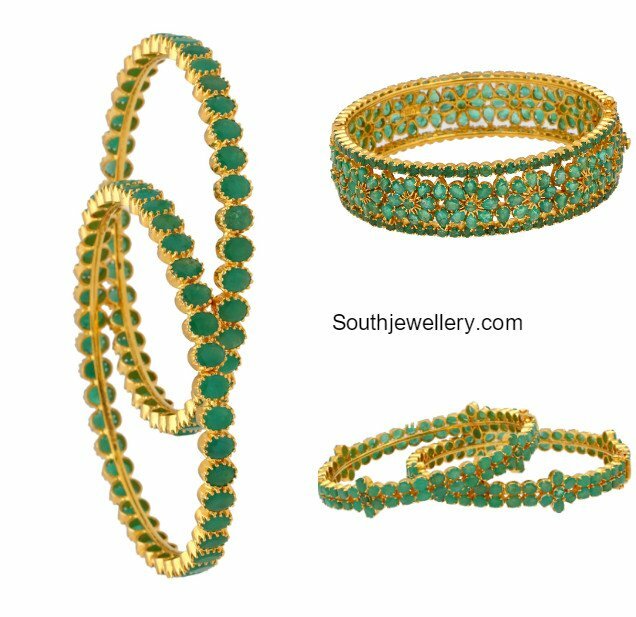 22 carat gold bangles adorned with zambian emeralds, rubies and uncut diamonds. 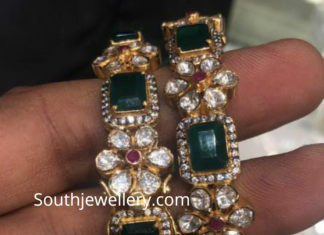 22 carat gold emerald bangles. 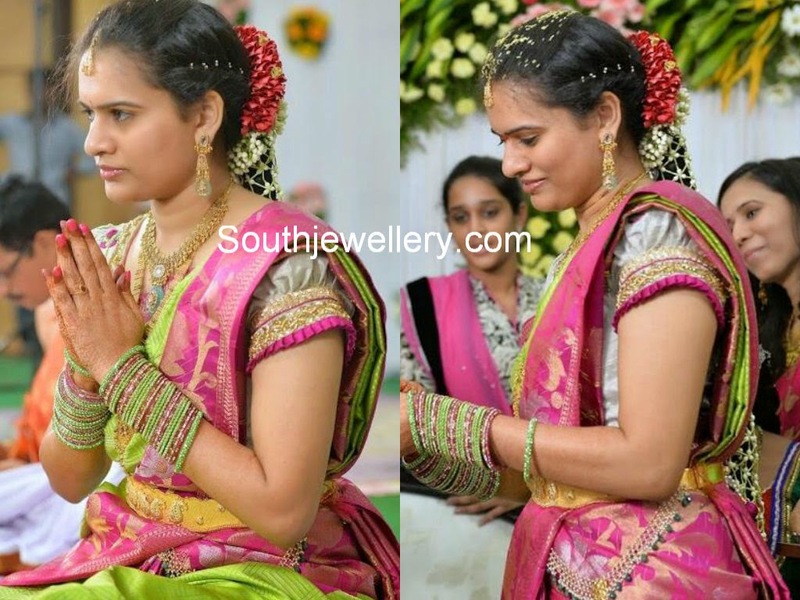 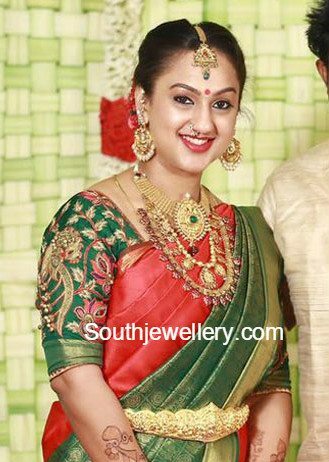 At her sister Sridevi Vijaykumar's baby shower ceremony, Preetha was seen in traditional antique gold jewellery.